UNITED STATES - The latest E. coli outbreak has rocked the romaine world, but relief could be on its way. This week, United Fresh issued a statement reporting that the FDA and CDC lifted their advisory for consumers not to eat any romaine lettuce, consequently allowing romaine to return to the marketplace. The lift comes with the launch of a new voluntary labeling agreement, negotiated by a number of romaine grower/shipper/processors. Each of these companies have pledged to label their romaine products with the region grown and the approximate harvest date. According to a press release, this will allow the FDA to communicate to consumers that romaine products returning to store shelves are not related to the outbreak earlier this fall. 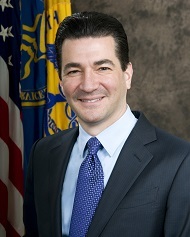 In his statement regarding the romaine lift, FDA Commissioner Scott Gottlieb outlined romaine grown and harvested out of the desert region of Arizona in and around Yuma, Florida, and Mexico as okay to consume. "At this time, the FDA has no information to suggest any of these growing areas are involved in the current outbreak, which began well before any romaine lettuce from these winter growing locations was available for harvest," Gottlieb said. He did, however, note that the vast majority of the romaine on the market at the time of the outbreak was being grown in the Central Coast region of California. The industry and the FDA have also agreed to continue to improve the tracking and tracing of romaine lettuce through the supply chain, particularly through improved data capturing at all supply chain points and technology. Produce associations from around our industry have also lent their support for this initiative, encouraging all industry members throughout the supply chain to abide by this labeling program. In anticipation of many “how to” questions, United Fresh and PMA posted Questions & Answers, offering additional details and clarification. In its press release, United Fresh noted that all involved with the new labeling agreement recognize that the industry will need to gain real-world experience as companies develop the most workable approach in different situations. To read the entirety of United Fresh’s statement, click here.